Gluten free pancakes that are as light and fluffy as their gluten filled counterparts? Oh yes please! These pancakes are free from gluten, dairy, eggs, soy and gums making them perfect for allergy sufferers. Gluten free pancakes are no easy feat at first. I had a lot of pancake fails when I went gluten-free. Not these pancakes. These gluten free pancakes are everything you would expect from a pancake. What are gluten free pancakes? If you’ve stumbled across this post and you’re wondering what are gluten free pancakes let me put your mind at ease. According to the Celiac Disease Foundation gluten is a general name for the proteins found in wheat (wheat berries, durum, emmer, semolina, spelt, farina, farro, graham, KAMUT® khorasan wheat and einkorn), rye, barley and triticale – a cross between wheat and rye. Gluten helps foods maintain their shape, acting as a glue that holds food together. Gluten can be found in many types of foods, even ones that would not be expected. Gluten free pancakes therefore are pancakes made using flours free from gluten. Even though I’m the only one with a gluten sensitivity in the family everyone from my hubby to my 2 year old enjoys (and prefers) these pancakes over their gluten filled counterparts. 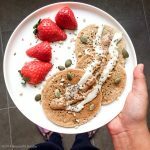 And so I would like to share some tips and tricks I’ve learnt along the way to help you achieve gluten free, dairy free pancake perfection. 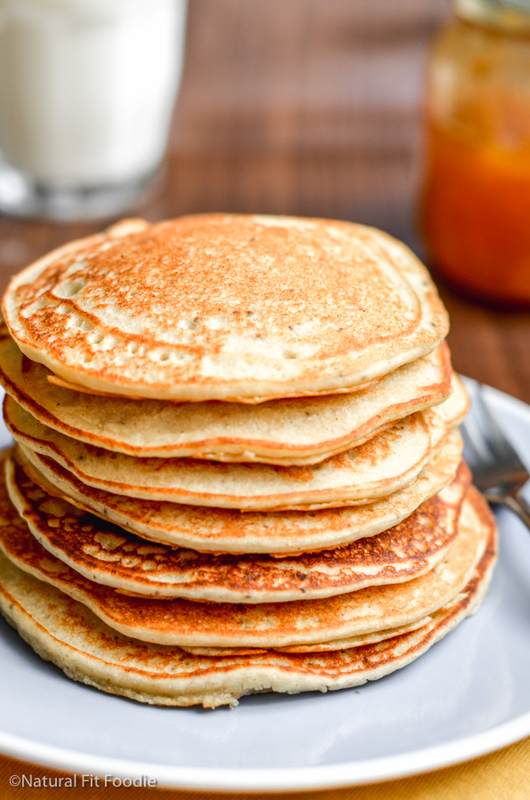 The best flour for gluten free pancakes is one which is actually a mix of flours. If you browse around this blog you will notice that all of the gluten free baked goods call for more than one type of flour. Gluten free flours do not behave the same way as wheat and so you need a blend of flours to replicate the texture. Aim for a blend of starchy & whole grain gluten free flours like I have used in this light and fluffy gluten free pancake recipe. Too much starch and your pancake will turn out gummy, too much heavy whole grain flours and your pancake will turn out dense and heavy. Gluten helps foods maintain their shape, acting as a glue that holds food together. Without gluten your baked good is likely to just fall apart. That’s why you’ll find most baked gluten free goods contain eggs, even bread. Eggs are excellent binders. So what are you to do if you’re egg free? There are a wide variety of excellent egg replacements but my go to is a flax egg and fruit puree. Over the years I have discovered that the secret ingredient for fluffy, gluten-free pancakes is apple cider vinegar. Apple cider vinegar together with baking soda creates a chemical reaction to produce carbon dioxide and gives the pancake batter a lift as it cooks. Besides these insider tips for fluffy gluten free pancakes here are some general tricks for making pancakes you’ll be proud of. Use a non stick frying pan. I love my cast iron skillet but pancakes do not turn out right in them. Use a glass easy pour measuring cup for pouring batter to get even round pancakes. Always wait for bubbles to appear on the surface of the pancake before flipping. Sift your gluten free flours to avoid lumps. If you have been diagnosed with celiac disease or have a gluten sensitivity as myself then living gluten free is your only option. Besides that individuals with conditions such as Hypothyroidism, Hashimoto’s, Endometriosis and PCOS have seen a great improvement in their symptoms after the elimination or at least a reduction of gluten in the diet. Because these pancakes are free from perishable ingredients such as eggs and dairy they keep for up to 4 days in the fridge. That means you can whip up a batch for #pancakesunday and still have leftover to enjoy come Wednesday. So be sure to double or triple your batch. Store your gluten free pancakes in the fridge for up to 4 days. Flash freeze them, then wrap them individually in wax paper and freeze them for up to two months. Tip! Use Stasher bags for storing your light and fluffy pancakes in the fridge and freezer. What to put on pancakes besides syrup? My family NEVER puts maple syrup on pancakes. For one, we live in Spain and maple syrup costs an arm and a leg and for two I just don’t get the whole syrup on pancakes thing, sorry. Here are some healthy topping ideas for your light and fluffy gluten free pancakes. These pancakes are truly delicious but don’t just take my word for it. I asked my daughter what I should say about these pancakes. Her response. They taste like normal pancakes, try them you will like them. Just do what she said. If you like this recipe please share this post to give your family and friends a chance to try it out too. Gluten free pancakes that are as light and fluffy as their gluten filled counterparts? Oh yes please! These pancakes are free from gluten, dairy, eggs and soy making them perfect for allergy sufferers. Sift the dry ingredients into one bowl and mix the wet in another. I usually give my wet ingredients a blitz in my blender. The mixture can thicken as you cook, just add more milk to get the desired consistency. It is important to sift your gluten free flours to avoid clumps. This recipe is simple and looks delicious. I have been looking for healthier breakfast options and pancakes are my favorite food! Thanks for sharing. Thanks GiGi Go get em! Those pancakes look super yummy! I’ll need to make them this weekend. Thanks Erica. Hope you like them! What a gorgeous stack of pancakes- and gluten free- yum! Nice recipe! I like the corn flour – I bet that gives such great flavor! I will have to try it next time! Thank you! Thanks Renee, let me know how you like it! These look great. I will have to try them soon, my boys love pancakes. How exciting that they’re egg-free too!! The corn must add a really nice quality to the texture. Thanks for sharing this cool recipe. Those pancakes look delicious. We tried gluten free pancakes once but my family hated them. Hi Emerald, try these I think they’ll like them! I will try making these. I have never used rice flour before, but that’s a great idea for keeping them gluten free. Thanks Tobias. Hope you’ll like them! I love pancakes and these look so delicious! I wish I had some right now. Yum! Whoa, these look amazing! They could totally pass as flour pancakes from the looks of them. Sharing! I like the addition of the corn and oat flour to give the pancakes a nice taste. Plus, love the banana addition as well. These look delicious! 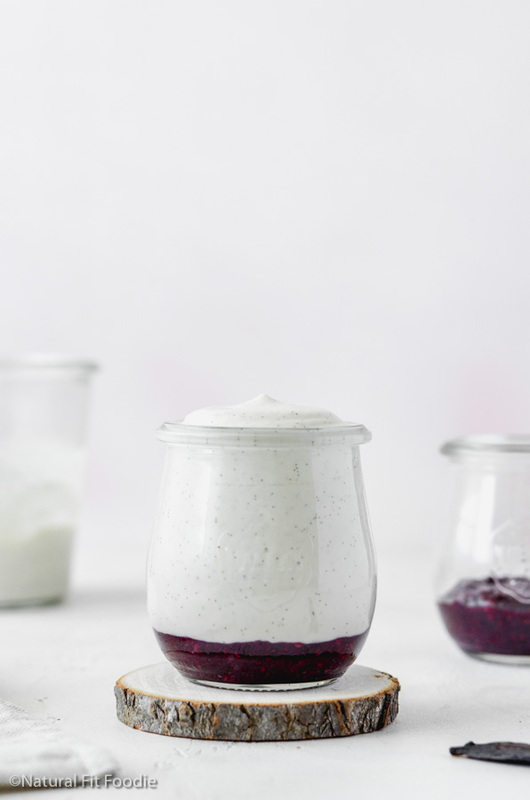 And I can vouch for the chia seed jam – it’s great on pancakes! Thanks Chloe. Glad you like it! 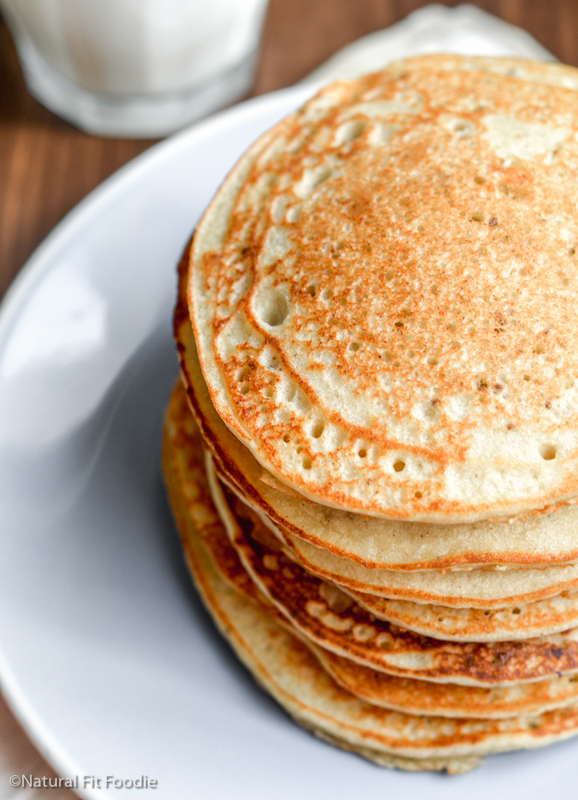 We usually do panakes about 2-3 times a month, will have to try this recipe next time! Your photos are beautiful! Thanks Rachel! Hope you like them. Delicious and good for you? Winning! These gluten free pancakes are AMAZING! I followed the recipe exactly and they turned out really light and fluffy!! 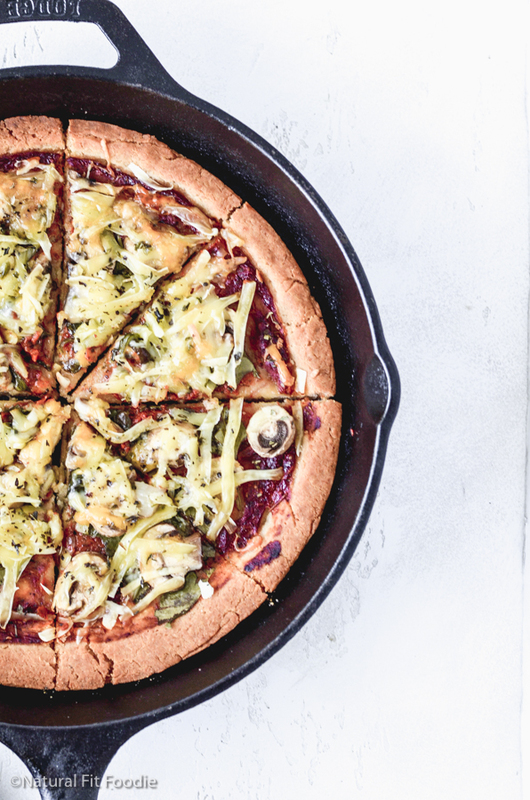 As someone that doesn’t eat much gluten I am loving this recipe. Pancakes are one of my all time favs. These look amazing. I like that they are gluten free. Thank you for linking up to Party Time and we hope to see you again next week! These look amazing! I’d love to try making them, but I’m celiac & also unfortunately can’t do oats – would you be able to recommend something to replace the oat flour? I was thinking either maybe millet, or chickpea, or a combo…? Hello Katharine it’s funny you should ask as just this weekend I ran out of oat flour and had to sub with chestnut flour. They turned out great! I have also used buckwheat flour in the past with great success. Chickpea is a high protein flour so it should work as well, I just don’t fancy it’s taste so don’t use it much. Let me know how it turns out!